1. 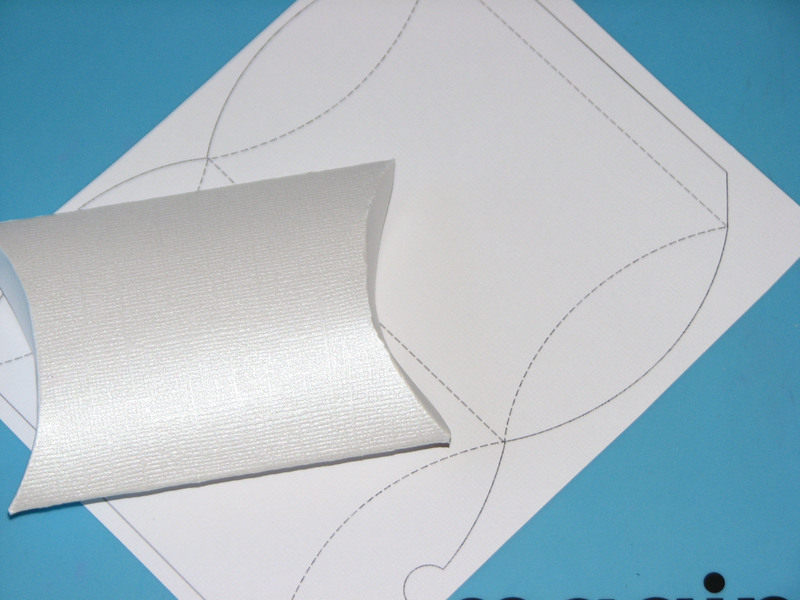 Print or trace pillow box template on the back of the pearl cardstock. Cut out and assemble. 2. Cut dark blue cardstock into 2" x 8.5" strips then fold around a pillow box. 3. 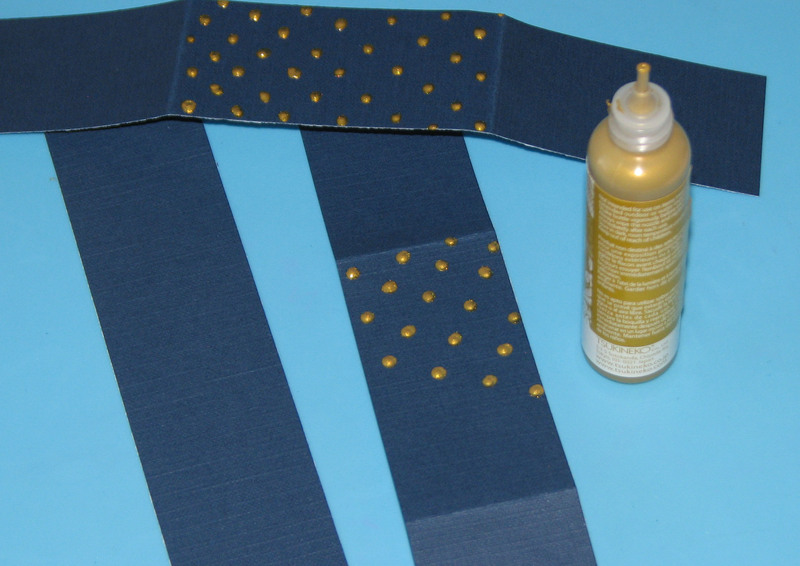 Use Gold StazOn Studio Glaze to create a polka dot pattern on each wrap around band and let dry. 4. 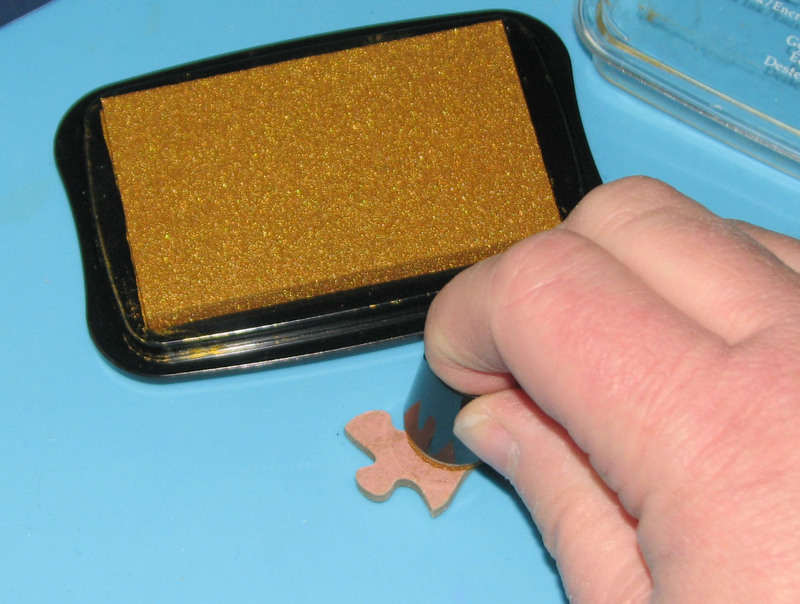 Ink the back of puzzle pieces with a Sponge Dauber and Delicata Golden Glitz ink, 2 per favor box. 5. Wrap the polka dot strip around the pillow box and glue it in place. 6. 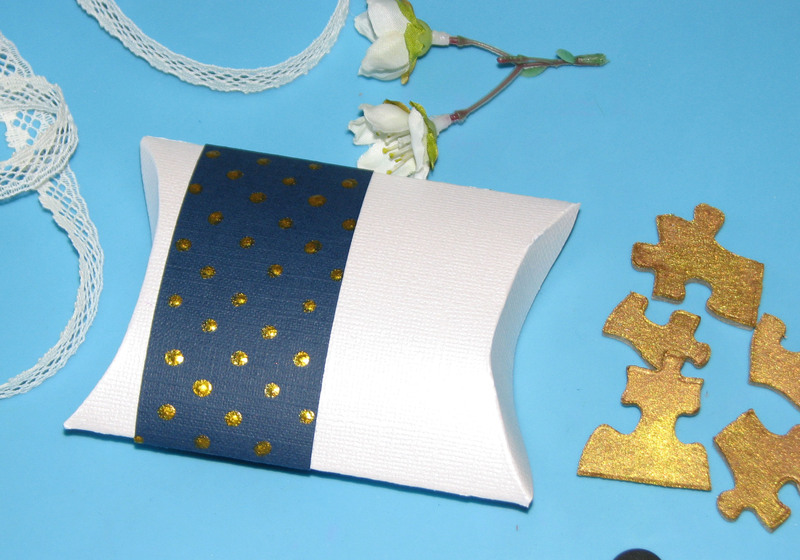 Embellish each box with vintage lace, silk apple blossoms and the golden puzzle pieces.